University of Queensland Professor Andreas Obermair has been presented with the 2017 Jeannie Ferris Cancer Australia Recognition Award for his contributions to improving healthcare for women diagnosed with gynaecological cancer. Fantastic news! 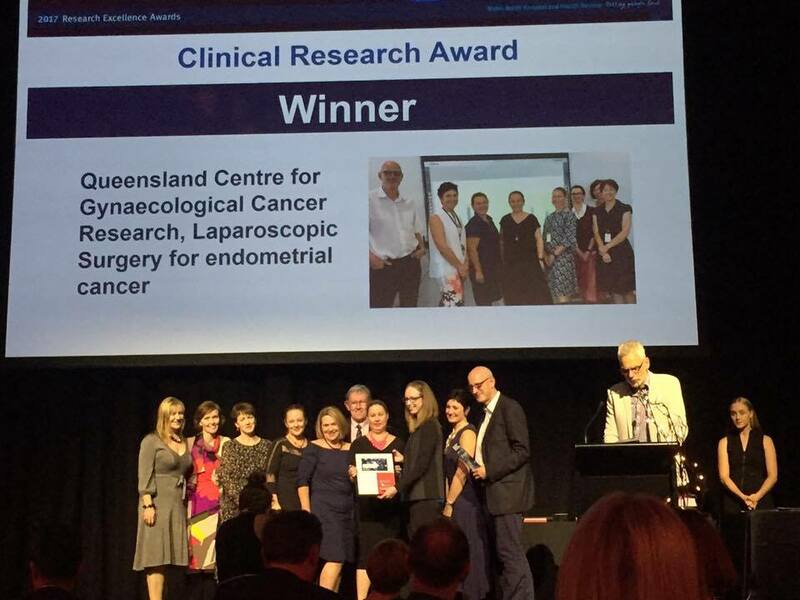 We recently won an award at the Metro North Hospital & Health Service 2017 Research Excellence Awards for our nomination in "Laparoscopic Surgery for endometrial cancer” in the Clinical Research category. Visit our recent blog post to find out more information about this trial.